Starbucks China has admitted using azodicarbonamide, a chemical substance often used in making shoe soles and yoga mats, in its cake products, the Beijing Times reported on Tuesday. 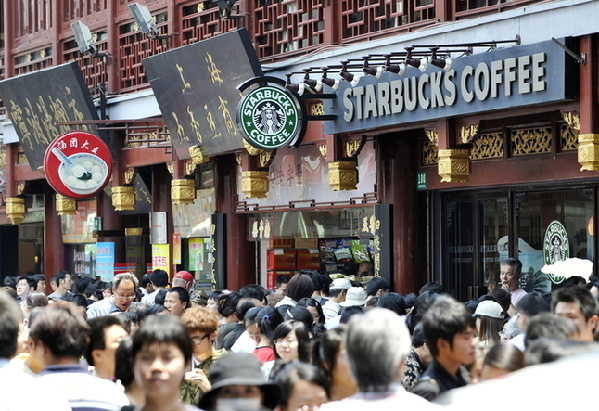 The global coffee chain responded by claiming that the practice conforms to China's food safety laws. The announcement came after the fast food chain Subway was reported to have used the controversial additive in its breads in the North American market. On Monday, Subway and McDonald's both denied using the food agent in the Chinese market. Last week, Subway U.S. announced that it would remove the additive from its breads after a public outcry on social media. Azodicarbonamide is often used in foamed plastics. It is also a food additive to bleach flour and strengthen dough. Many countries and regions, such as Singapore, Australia, Japan and the EU, have banned the use of azodicarbonamide in foods because it may produce carcinogens when baked, but it is allowed in food production under special conditions in the United States, Brazil, Canada and China. Starbucks China has admitted using a chemical substance often used in making shoe soles and yoga mats in its cake products.